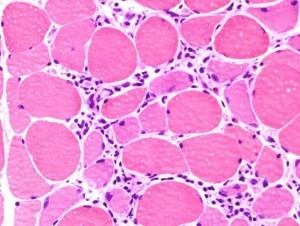 Polymyositis (PM), one of the Idiopathic Inflammatory Myopathies, is a rare, systemic autoimmune muscle disease that causes inflammation of the skeletal muscles, those involved with voluntary movement, leading to symmetric(same on both sides), proximal (muscles closest to the body’s core) muscle weakness. 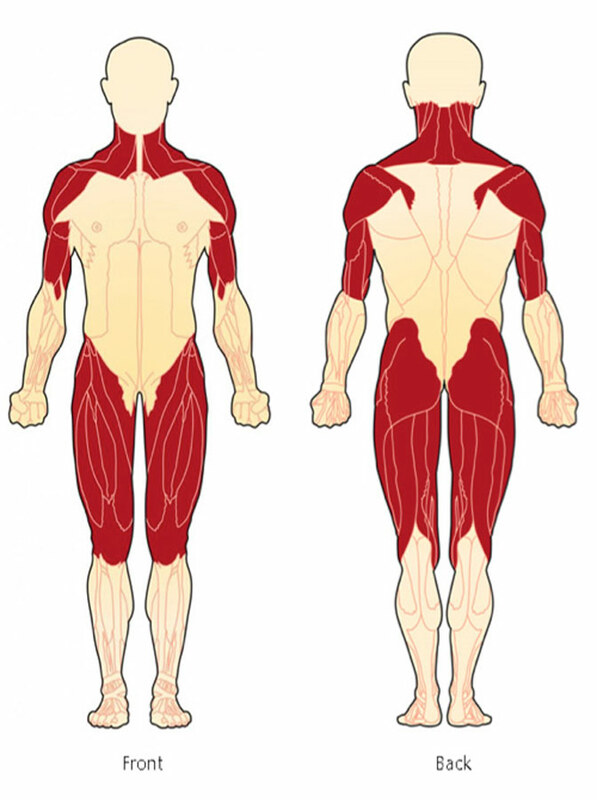 Muscles typically impacted include the hips, thighs, upper arms, shoulders, and neck. 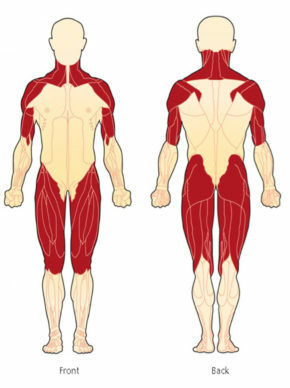 In some cases, the distal muscles (those further away from the chest and abdomen such as the lower arms, hands, lower legs, and feet) may also be affected as the disease progresses. Muscle weakness can develop over a period of days, weeks, or months. This weakness often leads to difficulty climbing stairs, rising from a chair or from the floor, turning in bed, brushing teeth, lifting, combing hair, or reaching over the head for something like an item on a shelf. There is no cure for polymyositis. Potential complications, do not occur in all patients. 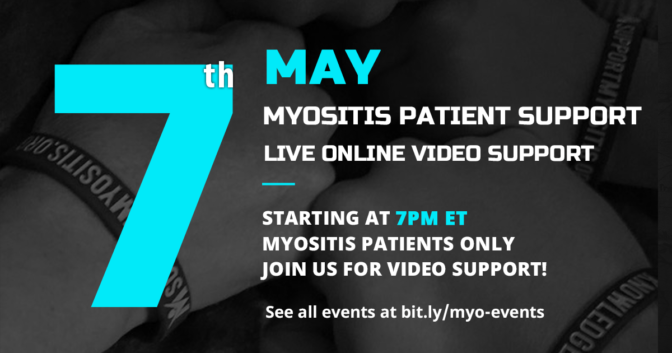 Who is affected by Polymyositis? 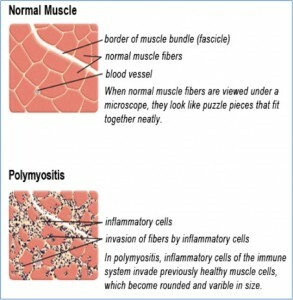 Polymyositis is a rare disease. A rare disease in the U.S. is defined as a condition affecting fewer than 200,000 people. PM affects twice as many women as men. PM, according to studies, is more common in African Americans, who are affected at five-times the rate of the Caucasian population in the U.S.
PM typically occurs in adults over age 20, with many patients aged 45-60. It has been noted that a higher incidence of polymyositis is found in those in their mid-30’s-40’s and mid-50’s-60’s. Polymyositis is a systemic disease. This means PM can affect other organs of the body. 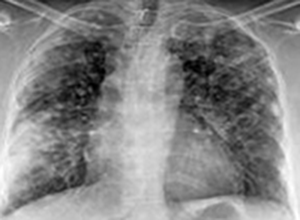 Lungs and Heart: Pulmonary disorders (interstitial lung disease) and less commonly, cardiac involvement (arrhythmia, pericarditis, myocarditis, congestive heart failure). Cancer can be an underlying cause of polymyositis, but to a lesser extent than with Dermatomyositis. Cancer may precede the onset and if the cancer precipitated PM, removal or treatment of the cancer may result in the remission of polymyositis. It is estimated that up to 10-15% of polymyositis in adults has also been linked to an increased likelihood of developing cancer post-diagnosis, particularly cancers of the cervix, lungs, pancreas, bladder, breasts, ovaries, and gastrointestinal tract, prostate as well as non-Hodgkin’s lymphoma. The risk of cancer appears to level off about three years after a diagnosis of PM. It is strongly suggested that appropriate cancer screenings be conducted upon diagnosis and in the years after a myositis diagnosis. 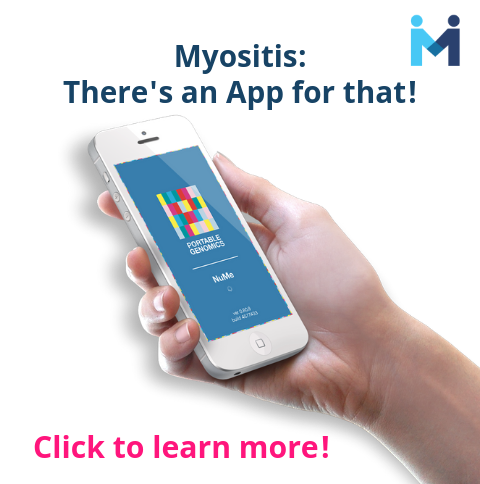 Myalgia (muscle pain) is a reality for many polymyositis patients. 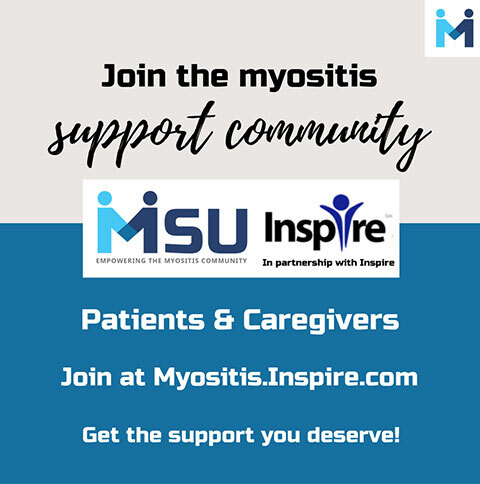 Studies and reports do not say how many experience pain, but an estimate based on information we received from an expert in the field, and who sees a large number of patients in a myositis center, reported 50% of patients in her practice experience pain. 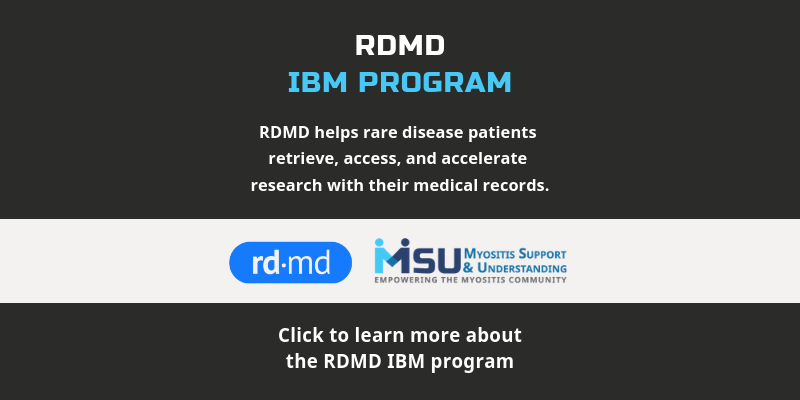 Polymyositis is diagnosed and managed by either a rheumatologist or neurologist, with a neuromuscular specialist likely having the most experience, usually in coordination with a primary care physician (PCP). Consultation with other specialists may be required depending on your symptoms, other coexisting illnesses, and other organ involvement and may include a cardiologist, pulmonologist, oncologist, and pain management specialist. 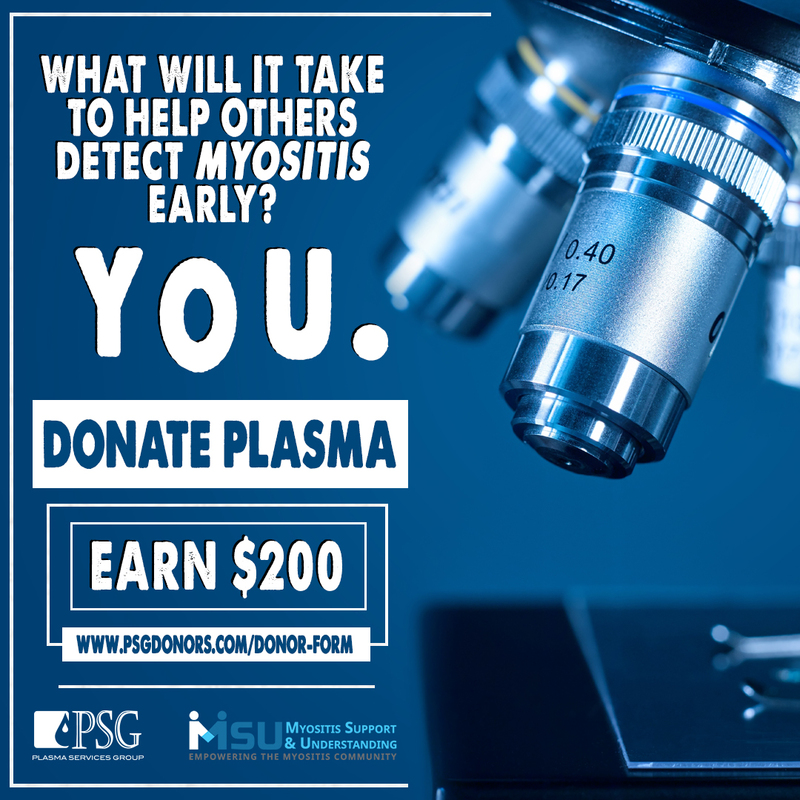 A complete medical and family history are important in helping to diagnosis a rare and complex disease such as polymyositis. We suggest writing a detailed medical and family history that you can share with your medical team and that can be used for all future appointments. An EMG (Electromyography) is a test that checks the health of the muscles and the nerves that control the muscles. 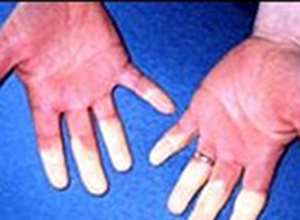 With polymyositis, the EMG may show myopathic changes. EMG testing can help distinguish between weakness due to muscle disease from weakness due to nerve problems. Nerve conduction study is usually done during the same visit and is a test to see how fast electrical signals move through a nerve. MRI is being used more frequently for polymyositis and can show changes suggesting muscle inflammation. Physicians may also use MRI to choose the best muscle for biopsy. 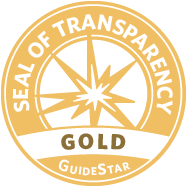 The muscle biopsy has long been considered a gold standard for a diagnosis of polymyositis. A doctor will remove a small piece of muscle tissue, either via a needle biopsy or an open surgical biopsy, and send it to a lab for testing. Since there is an increased risk and a potential association of cancer with polymyositis, your doctor may perform several cancer screenings, including those that are age and gender appropriate. Diagnosing polymyositis can be a long and difficult process for several reasons. 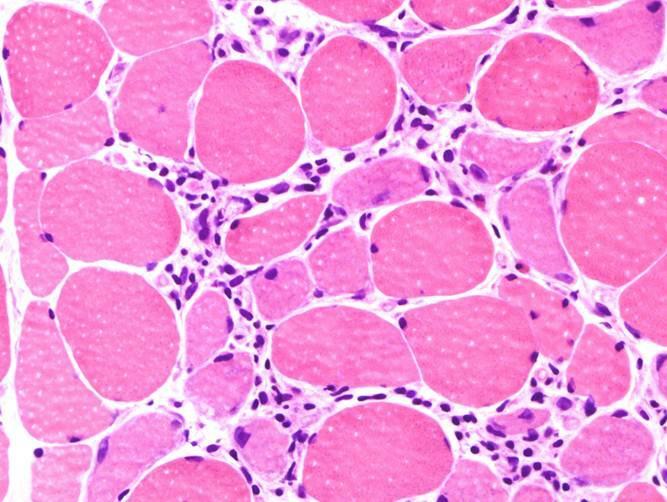 Polymyositis is a rare disease. 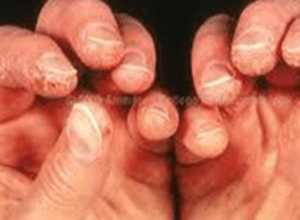 Rare diseases are usually more difficult to diagnose. The saying, “When you hear hoofbeats, look for horses, not zebras” is something doctors are taught and in many cases works well. The “horses” are the most common illnesses and the “zebras” refer to the rare diseases, like PM. Each patient with PM presents differently, so a clear pattern or set of symptoms is not necessarily visible to make a diagnosis. The diagnosis can be delayed when characteristic findings are not present such as proximal muscle weakness, elevated muscle enzymes such as creatine kinase (CK or CPK) and aldolase, myopathic findings on electromyography (EMG), and typical muscle biopsy findings for PM. 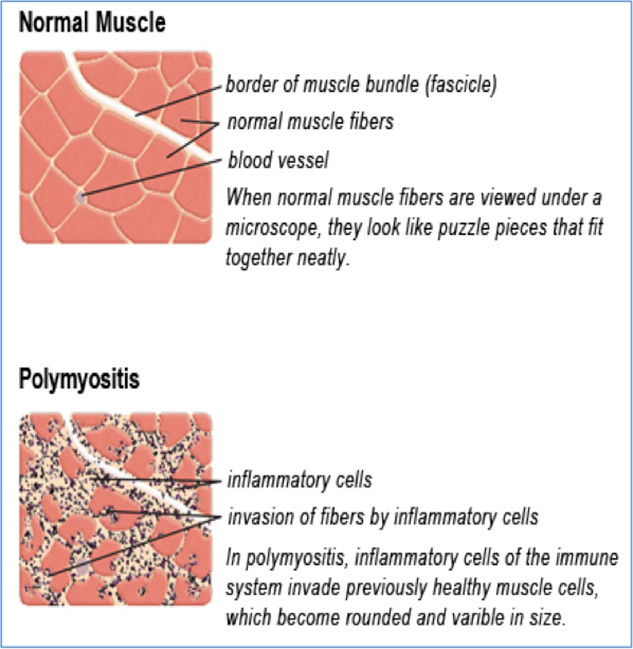 Polymyositis can mimic other diseases such as adult-onset muscular dystrophies. 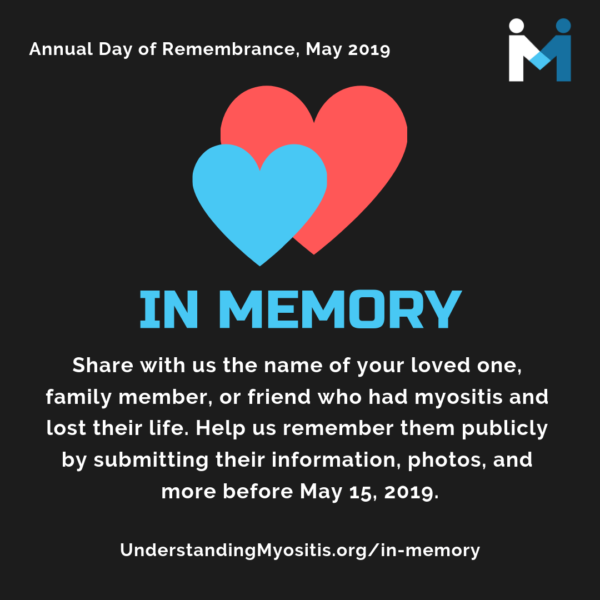 There are also reports of patients first being diagnosed with polymyositis only later to find they have inclusion body myositis or a non-inflammatory myopathy. 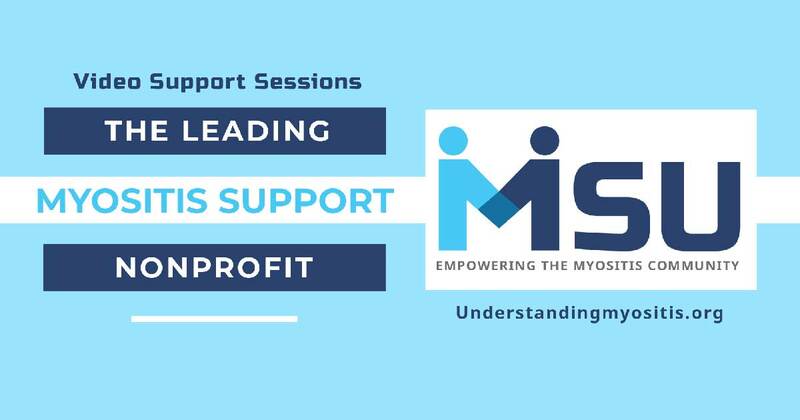 The goals of treatment for polymyositis are to eliminate or reduce inflammation, restore muscle performance, reduce morbidity, and improve a patient’s quality of life. There are no approved therapies for polymyositis, aside from steroids, which are not recommended for long-term use. Steroid-sparing agents, such as immunosuppressive drugs and Disease-Modifying Antirheumatic Drugs (DMARDs), have an added benefit as they often reduce or eliminate the need for steroids while also improving the symptoms of polymyositis. However, these medications are not without their own risks. Cytotoxic medications are a class of immunosuppressives that were originally developed and are still used to treat certain types of cancer. Cyclophosphamide (Cytoxan) is one of these medications used. It is available in a pill form and can be given intravenously (IV). This has been used to treat refractory cases of polymyositis. Acthar Gel, a corticotropin, is delivered either subcutaneously or via intramuscular injection, injected beneath the skin or into the muscle. It is a naturally-occurring hormone produced by the pituitary gland and has several potential mechanisms as to how it may benefit patients with PM. Acthar causes the release of cortisol from a patient’s adrenal glands, thus mimicking the effects of taking corticosteroids. Acthar also interacts with a number of receptors throughout the immune system and may reduce immune overactivity responsible for causing PM. Plasmapheresis (plasma exchange) is a process in which the fluid part of the blood, called plasma, is removed from blood cells by a device known as a cell separator. This process, in theory, removes antibodies that may cause polymyositis. This treatment is not being used as much as it once was many years ago. See more information about the medications and other treatments by visiting our Treating Myositis page. Day-to-day management of polymyositis can take many forms. 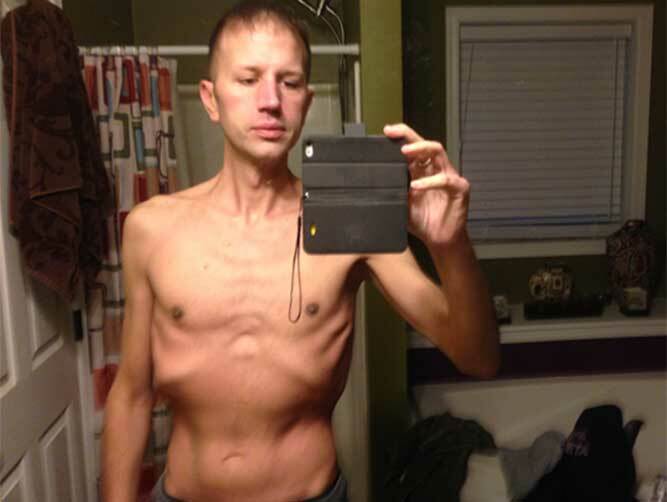 Adapting to a “new normal” can be challenging and require many lifestyle changes. We now know there are massive benefits in having an approved exercise program. This may start with a doctors referral to physical therapy or a rehabilitation center. Exercise plans that are supervised by your medical and healthcare team are most effective so you do not injure yourself. Eating a well-balanced diet high in protein may be beneficial for those with polymyositis, and is for your overall health. 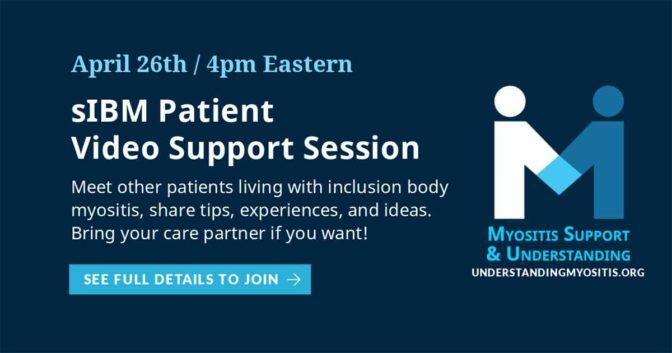 When living with polymyositis, having a good support system in place is extremely helpful. 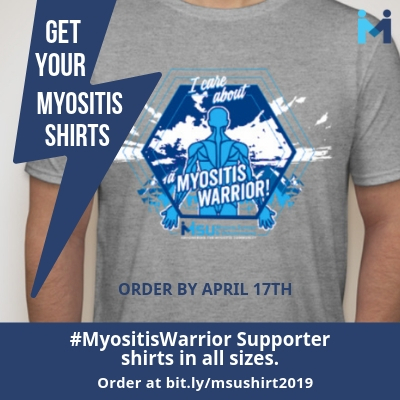 Polymyositis is a chronic illness and some people in your life may not understand the disabling aspects of the symptoms, treatments, and stress involved in managing this complex, sometimes even invisible illness. 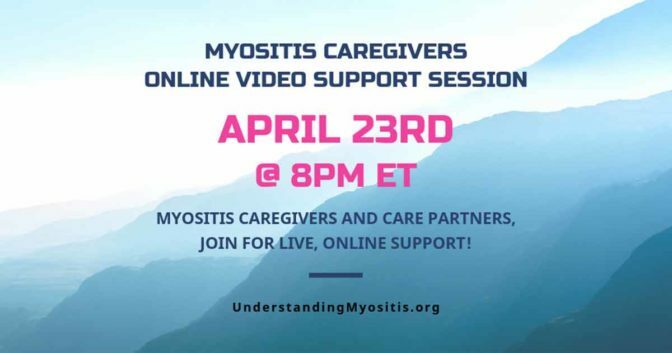 We offer several online support options for patients, family members, caregivers, and friends of those living with polymyositis. Having an emotional outlet is helpful, and our groups are also educational and resourceful. We, at times, try to add some fun activities aimed at helping reduce stress and get to know one another better. Have you been diagnosed with Polymyositis? The prognosis of polymyositis depends on many varying factors including patient response to treatment, the age of onset, the severity of disease and its manifestations, the presence of pulmonary or cardiac involvement, and if there is an associated malignancy. Some polymyositis patients respond very well to treatment, while others do not respond at all. Finding the right treatment, or combination of treatments can take months-to-years. 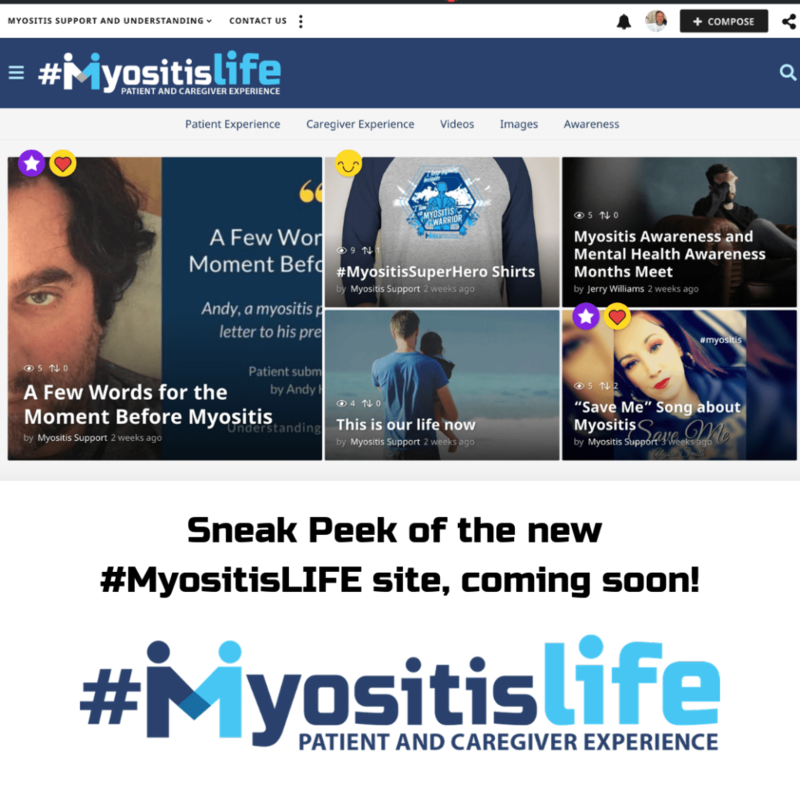 What does Polymyositis look like? Polymyositis patients may require the use of devices to help with mobility such as a cane, walker, or wheelchair, either for short periods like during flares or for long-term muscle weakness and damage. When the lungs are involved, some may wear oxygen. Some may look perfectly healthy on the outside, but on the inside, they are very sick and struggling on many levels. Research helps us better understand diseases and can lead to advances in diagnosis and treatment. As there are currently no approved treatments for polymyositis, research is important, as are patients participating in clinical trials. We have partnered with Antidote to help make your clinical trial match easier. Click the start button below to begin. MSU volunteers, who have no medical background, read and analyze often-complicated medical information and present it in more simplified terms so that readers have a starting point for further investigation and consultation with healthcare providers. The information provided is not meant to be medical advice of any type and is in no way intended to replace professional medical care by a qualified specialist and should not be used as a basis for diagnosis or treatment.